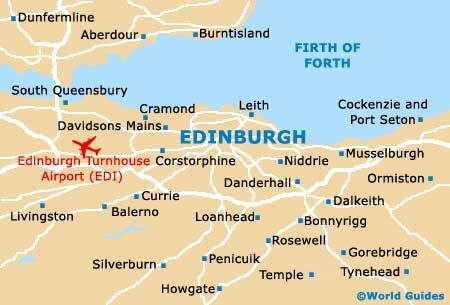 Scotland contains innumerable notable golf courses and some of the very best are based around its capital city. Edinburgh is no more than an hour away from in excess of 70 different golf courses, with a number of the closest and most popular including those of Braid Hills, Carricknowe and Craigmillar Park, as well as the Lothianburn Club, which is located alongside the Pentland Hills Regional Park. It may well be worth noting that the Edinburgh and Lothians Tourist Board offers a discount pass for golfers in the area, and these seven-day passes provide discounts on many of the top courses. Booking in advance is always advisable at courses, as is phoning ahead to check the dresscode, and of course to confirm that visitors are permitted to play. The Braid Hills Golf Course, in the southerly Murrayfield area, offers exceptional views. There are actually two 18-hole courses at Braid Hills, one with a yardage of 4,495 and a par of 64, the other with a yardage of 5,880 and a par of 68. Visitors are welcome and fees are relatively inexpensive, although advance booking is generally necessary. Facilities include extensive equipment hire, a professional shop and an excellent driving range. Edinburgh's Carricknowe Golf Course is situated in the Corstorphine area, being just 4 miles / 6 km to the west, where it offers a yardage of 6,132 and a par of 70. This exceptional 18-hole course welcomes visitors, although advance booking at the weekend is always advisable. Facilities include a practice area, a clubhouse and reasonably priced equipment hire. The Castle Park Golf Course lies a little under an hour to the east and this 18-hole course has great views of the surrounding countryside and the rolling hills of Edinburgh. With a yardage of 6,121 and a par of 72, Castle Park welcomes visitors to the course. Facilities include a number of driving ranges, equipment hire and buggies. Located in the suburb of Blackford and next to the King's Buildings of the university, the Craigmillar Park Golf Club is set in the Craigmillar area and has superb views of the nearby hills. This 18-hole course has a yardage of 5,851 and a par of 70. Facilities include a pro shop, a bar and changing rooms. Visitors are welcome at this course during the week, although it should be noted that the fees are fairly expensive. The Deer Park Golf and Country Club is based in nearby Livingston, where it is an impressive 18-hole course with stunning surroundings. Facilities include a large professional shop and a clubhouse for both members and visitors. There is also tenpin bowling available here. Part of the Meadowmills Sports Complex, the East Lothian Golf Range is to the east of Edinburgh and has 24 covered driving ranges with floodlights, as well as instructors, a café and a professional shop. Visitors are welcome and this is an excellent place to practice a spot of golf. Situated on the southern side of the city and reached via the A701, the Glencorse Golf Range is an 18-hole course with excellent views of the countryside. Visitors are always welcome to play here and facilities include a number covered driving ranges, a professional shop and a café area. Nearby, the Roslin Glen Country Park may be of interest to families. 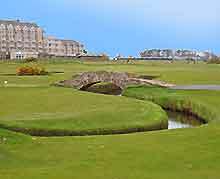 The Gullane Golf Club can be found on the north-eastern outskirts of the city, close to the seafront. This picturesque club has exceptional views across the Firth of Forth and visitors will find three top courses of varying length and difficulty. Golfers are always welcome at this course, although advance booking is advisable. The Harburn Golf Course in West Lothian is a 40-minute drive to the south-west of Edinburgh. This attractive 18-hole course has a par of 69 and a yardage of 5,921. Facilities include many interesting obstacles, sloping greens, a clubhouse, equipment and buggy hire, a practice area, a putting green and a professional golfing shop. Visitors are welcome to play here at any time. The Jane Connachan Golf Centre is located close to North Berwick, a charming Scottish seaside village on the north-eastern coast. This impressive nine-hole course welcomes visitors and has a short course for beginners, along with bunkers, a pro shop, floodlit driving ranges and pleasant views of the surrounding countryside. Next-door you will find the Scottish Archery Centre and the Fenton Barns Farm Shop. The Kings Acre Golf Course is roughly a 20-minute drive to the south-east of central Edinburgh, being close to the city bypass, Bonnyrigg and a large branch of Dobbies Garden Centre. This attractive 18-hole, par 70 course has excellent facilities, including equipment and buggy hire, a driving range, coaches, a clubhouse and impressive restaurants. Visitors are welcomed and the green fees are considered to be reasonable. Located on the southerly outskirts of the city and next to Fairmilehead, the Lothianburn Golf Club has a yardage of 5,422 and a par of 71. Attractions include a professional club shop, a practice area, a putting green, impressive views and a comfortable clubhouse. Visitors are always welcome at this course and green fees are relatively inexpensive. The Melville Golf Centre is an attractive nine-hole course, situated to the south-east of the city, nearby Dalekeith and Bonnyrigg. Facilities include equipment hire, a driving range which is floodlit at night, a pro coach and a clubhouse. Visitors are welcome to play during the week - and also at the weekend (something that a number of local clubs don't permit). The North Berwick Golf Club is located less than one hour's drive from central Edinburgh and is reputed to rank amongst the oldest in the world. With stunning scenery and views of the sea, this historic club is to be found some 25 miles / 40 km to the north-east, being just past Dirleton and close to the Scottish Seabird Centre. Located alongside the Silverknowes Parkway / Muirhouse Parkway, the Silverknowes Golf Course is one of the city's most scenic and has some spectacular coastal views across the Firth of Forth. This 18-hole course has a par of 71 and a yardage of 6,216. Visitors are welcomed here and a round is very reasonably priced. Nearby Lauriston Castle serves as a useful point of reference. Founded in 1892, the West Lothian Golf Club is an 18-hole course with a yardage of 6,406 and a par of 71. Located on the outskirts of Edinburgh, to the north-west of the city centre and next to Linlithgow, the club is connected by the M9 motorway and comes with a lounge bar, a professional shop, a putting green and changing rooms. Visitors are welcome to play a round at this course.